This edited volume looks at regional integration processes in Asia. Whilst integration in the region, defined as Southeast and East Asia, is not a new process, it has gained momentum in recent years. Two developments have acted as catalysts for integration, first at the economic level the Asian crisis of 1997 has been the watershed for most countries in the region. Ever since, there have been continuing search processes for sovereignty-enhancing types of economic policies, and the region is one location where policy-makers look for new avenues to strengthen the position of their countries. The second major development is the continuing rise of China in the region. Today, China is not only the manufacturing powerhouse of the region, but it increasingly functions as a "benign hegemon" in Asia. Integration processes in Asia take place at several levels; in trade, finance and security affairs. This book analyses these dimensions of integration and sheds light on the prospects for successful integration. It investigates the puzzling, sometimes contracting trends of co-operation and integration in Asia. The contributors to this volume look at a theme that is of growing importance to the discipline of political science as much as it is relevant for policy makers. 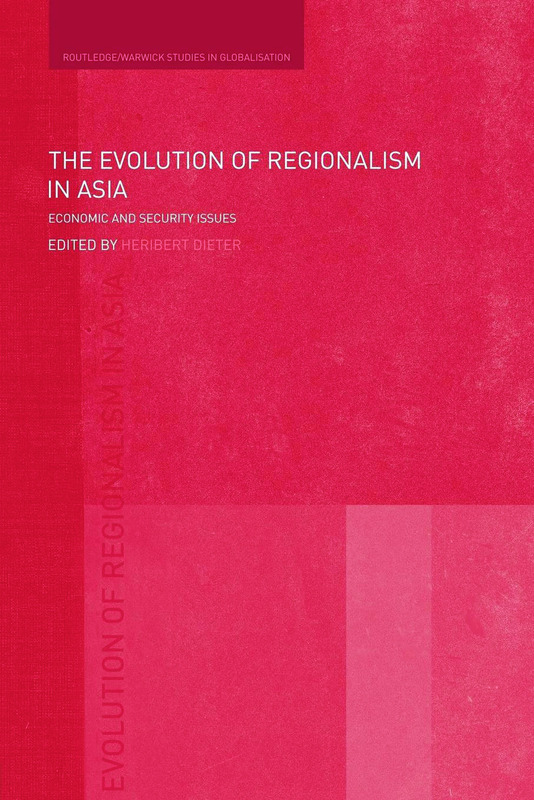 By combing the analysis of the three dimensions of integration, The Evolution of Regionalism in Asia enables readers to gain a broad understanding of the theory and practice of the integration processes. Bilateral trade agreements in Asia: Wise or short-sighted policies? The future of monetary regionalism in Asia: A joint currency or limited cooperation?